Australian Sandalwood Essential Oil (Santalum Spicatum) has a rich, buttery, exotic aroma. Sandalwood is said to have been used for over 4000 years as a perfume and temple incense. It is uplifting and relaxing and is beneficial for all types of skin. Traditionally burnt as an aid to meditation and much used in religious ceremonies. Sandalwood essential oil creates an exotic, sensual atmosphere with a reputation as an aphrodisiac. It's an excellent skincare oil, useful for dry and damaged hair and as a body fragrance. Traditional uses include: antiseptic, emollient, soothing agent, astringent, and skin conditioner. Because Sandalwood of Indian origin has become increasingly over-harvested and expensive (due to sky-rocketing demand and scarce supply), we've chosen to carry this Australian Sandalwood (and now Indonesian Sandalwood, as well) in its place. 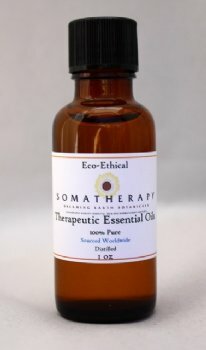 We consider this a better choice environmentally, and hope you'll give this oil a try as an alternative to the over-harvested and endangered Mysore Sandalwood. Although certainly milder and less sweet, it has a lovely, deep, exotic aroma and still maintains the qualities that make Sandalwood such a sought after oil in aromatherapy and perfumery.